If you are a nail paint or nail art addict then hand butter is a must have for you. I always make sure to keep my hands hydrated to make them look great as I tend to click lots of pictures of my nails. I had already introduced Hemp & Honey Plus in my review of their body creams. If you had missed reading it, check it out HERE. Today I am going to review Hemp & Honey Plus Hand Butter in Tea Tree and Black Pepper which is an all natural, organic and contains Hemp Oil and Manuka Honey. Dry skin is no match for this Shea Butter based butter that’s been created to soothe even the hardest working of hands. Our carefully crafted formula using pure hemp oil quickly absorbs into your hands without the greasy feeling typically associated with other hand and body butters. Made with vitamin-rich hemp oil and antioxidant-rich Manuka Honey from New Zealand—HH+ Hand Cream is perfect for a quick application day or night. Hemp and Honey Plus Hand Butter comes in a small, round slightly frosted plastic tub with a white screw top lid. It comes sealed with a sticker to ensure that it has not been used or opened. The packaging is very light and the tub can be easily carried around in a bag without any fear of leakage. I really do not mind the tub packaging when it comes to hand butter as it allows you to get the last bits left at the bottom of the tub. The packaging is simple and clinical looking but yet giving an impression of natural products. The hand butter is dark yellow in color with mild and soothing scent. It instantly makes me feel good. The texture of the hand butter is soft with thick consistency. The hand butter feels slightly hard and I need to apply little pressure to get some butter out. As soon as I apply it on my hands, I could feel clumps releasing from the hand butter that is really annoying. Despite having hard texture, it spreads easily over my hands and gets absorbed quickly. It does not leave greasy or slippery residue behind unlike other hand creams but make sure you use it sparingly. My hands feel wonderfully soft and silky smooth. Make sure less is more with this hand cream as applying lots of cream on your hands will make them feel greasy and oily. I have been using it for a month on my hands and cuticles. It makes my cuticles soft and smooth and my fragile nails do not tend to break (my nails used to break even on a light bang with door!). My hands feel moisturized and beautiful but I do feel the need to reapply it after 6 hours or so. The scent mildly lingers with me for a good few hours. I love applying it at bedtime to get the most out of it. 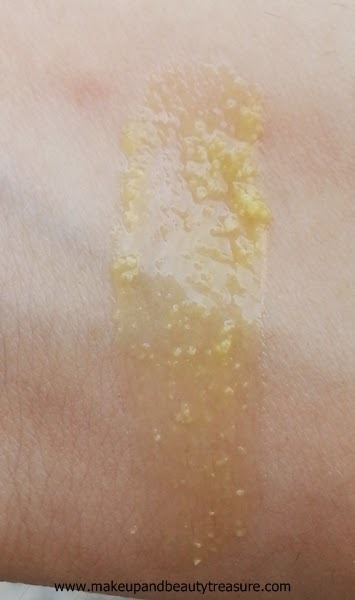 Hemp & Honey Plus Hand Butter works for me in this changing weather when my hands and cuticles get really dry. 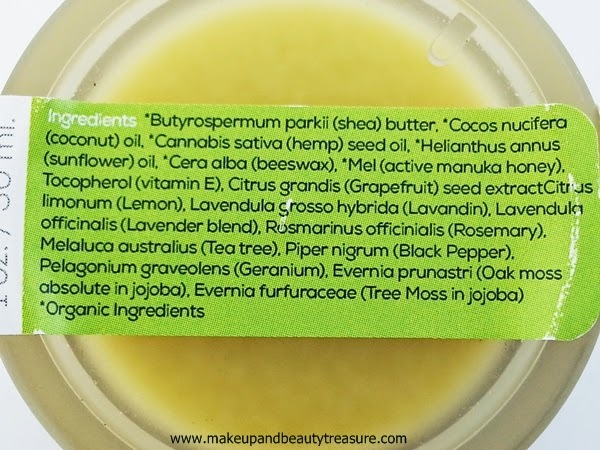 It contains organic ingredients such as Hemp Seed Oil and Manuka Honey that are known for their moisturizing properties. I have not faced any adverse effects whilst using it. • Does not leave a greasy residue behind. • Makes hands and cuticles soft, silky and moisturized. • Takes good care of cuticles. • Makes my nails strong and healthy. • Easily available online. Soon to be launched in India! • There are small clumps in hand butter though they get absorbed easily. 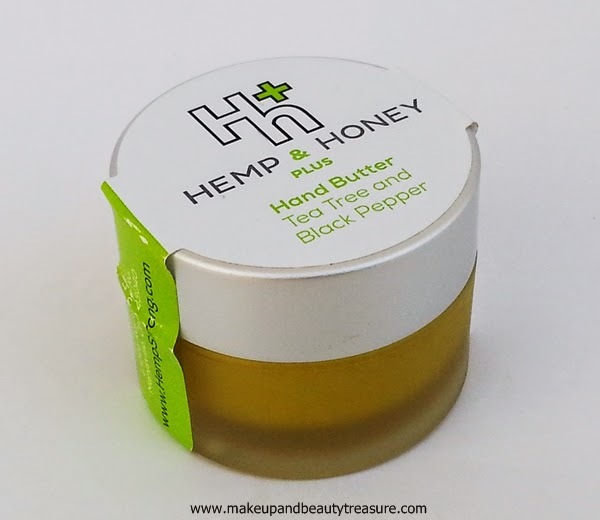 Hemp & Honey Plus Hand Butter is a good hand butter that keeps hands in tip top condition. It makes my hands soft, smooth and moisturized. 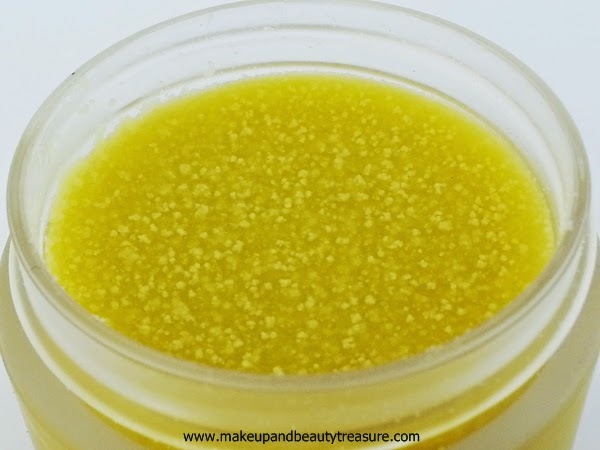 It gets absorbed quite quickly and does not leave greasy residue behind. The scent is amazing and instantly makes me feel good. Had there been no clumps, I would have given it full points. I love using it at bedtime! UPDATE: The grainy or clumpy texture is due to the variations in temperature. Unrefined Shea Butter changes its texture when exposed in high temperatures and then not cooled down properly. The actual product has very soft and smooth texture and does not have any clumps or grainy texture! Its just that the hand butter travelled all the way to India and got small clumps in it. 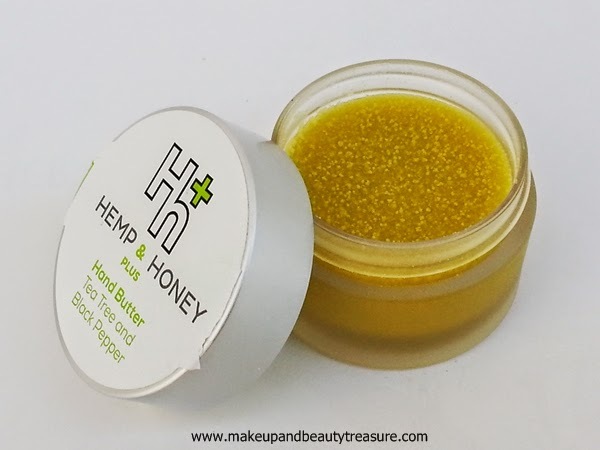 Have you tried Hemp & Honey Plus Hand Butter? How was your experience? Share in the comments section below! Thanx Jhilmil! It actually has changed its texture! Welcome to Makeup and Beauty Treasure Himanshi :) Thanx so much! Beautifully Review dear....Looks great for winters...would love to give it a try! :) Glad you liked it!